We took a quick run through the Smithsonian Museum of Natural History - and by quick, I mean quick. 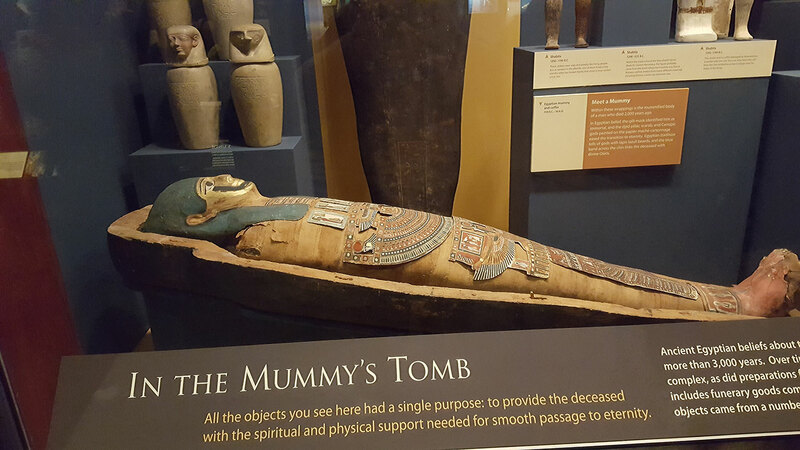 We only had about an hour and a half there, so we picked a couple of things we really wanted to see - The Hope Diamond, and a small, but fascinating mummy exhibit. This photo doesn't do it justice, but then, I don't think a photo can - espeically not coming from a cell phone. 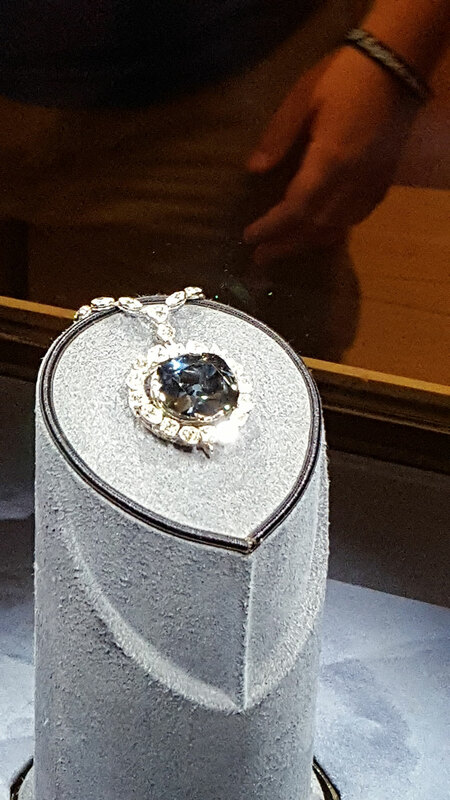 That's one pretty necklace. We also wandered through a gems and minerals exhibit along the way. 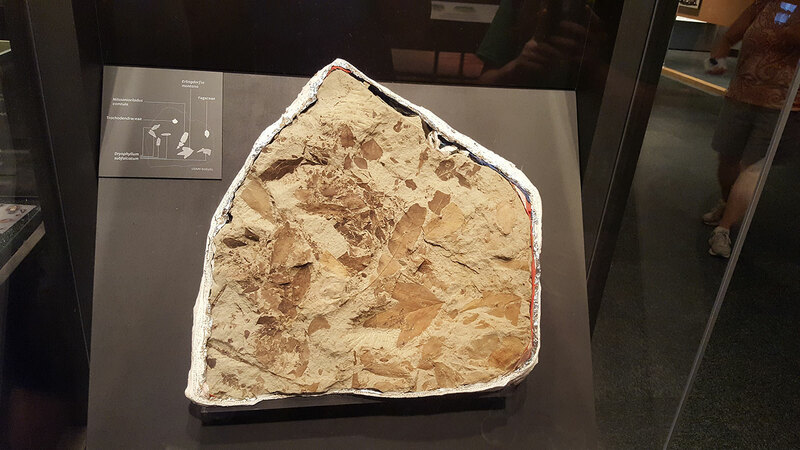 Can you spot all the fossils? 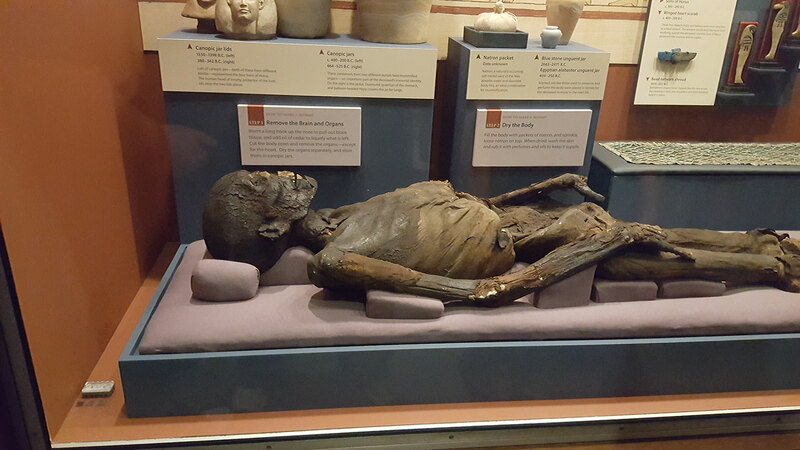 We made it to the Mummies! Here are a few headdresses. This guy looks familiar. I'm pretty sure I saw this same exhibit years ago at the Cincinnati Art Museum. 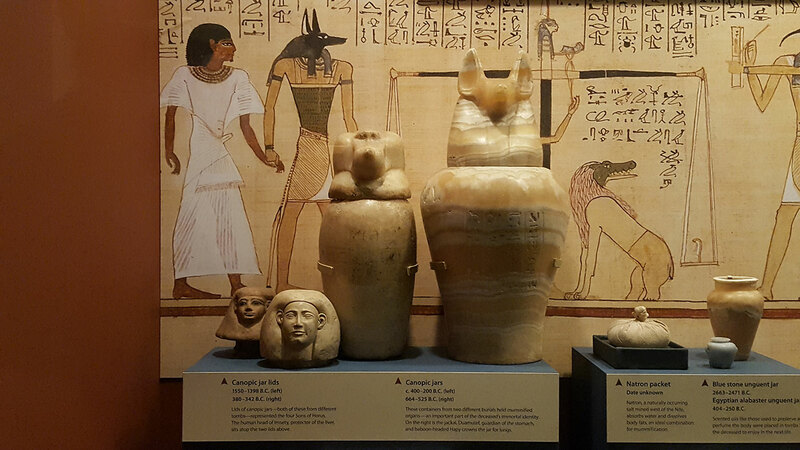 Canopic Jars for all your internal organ storage needs. 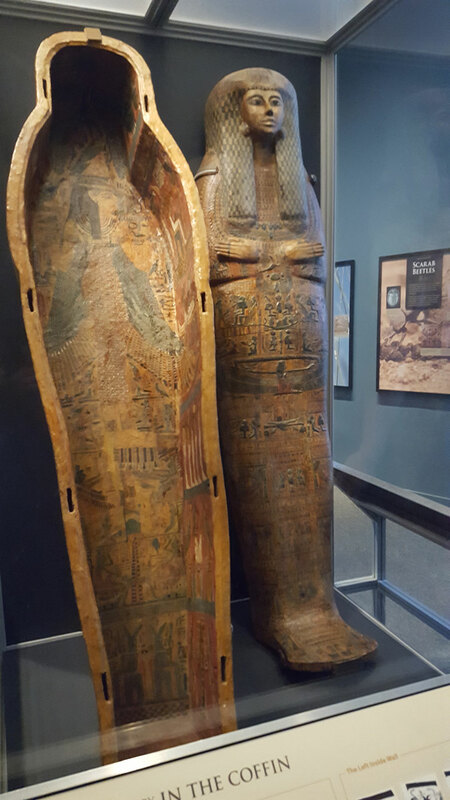 The outside of the coffin is very ornate and you can tell that at one point it was also very colorful. 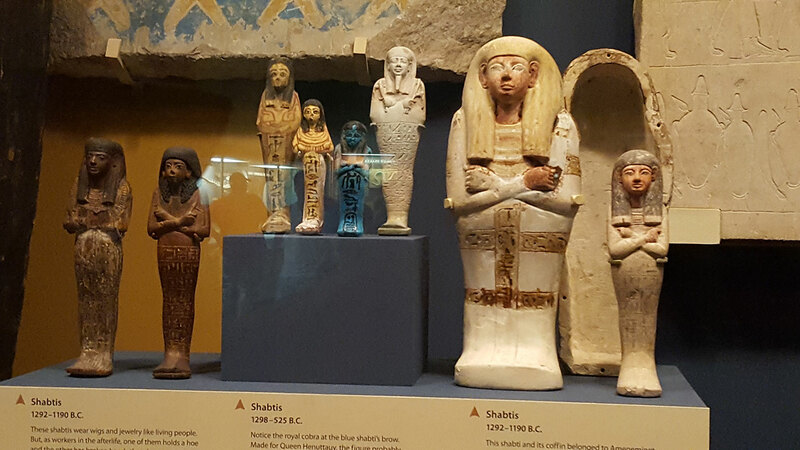 Statuettes, again, you can tell they were once quite colorful. 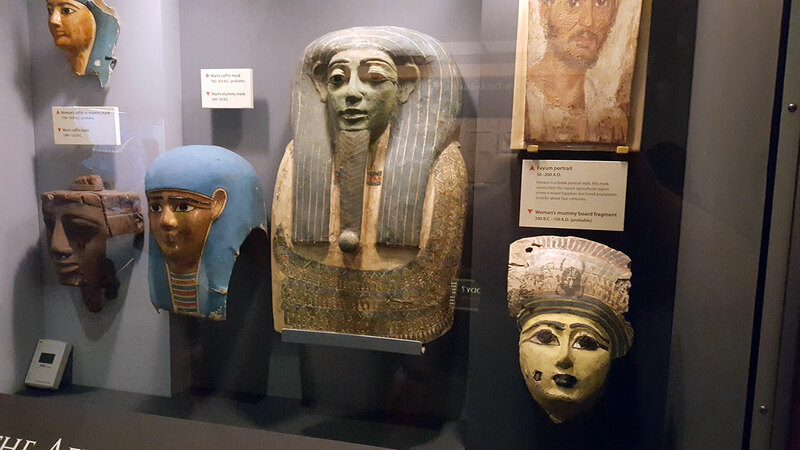 The Egyptians tended to be a little garish in their color palettes. Here's a good shot of the carvings, both inside and out of the coffin.